Omega Force, the studio behind the Dynasty Warriors series of game, has developed a fine byline in applying Dynasty Warriors-inspired gameplay to other franchises. It’s rather inspired, then, that they should have got together with Square Enix to give that treatment to the Dragon Quest series. 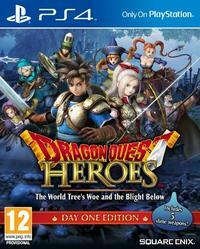 There’s already a Dragon Quest Heroes spin-off series of action RPGs based on the series, after all, and the adorable monster designs from Akira Toriyama has long been a strength of that series and provides plenty of fodder to create adversaries worthy of the battlefield – plus the whole “one character against an army who builds up tension to unleash special moves” gameplay of the Dynasty Warriors series fits the the fantasy JRPG genre nicely. Wargames, from real-time squad-level strategy games to global-level turn-based civilisation-building affairs, aren’t a computer game format that’s much associated with handheld consoles. That appears to have changed, at least on the Nintendo DS – perhaps because it provides sufficient processing power to make reasonably complex games, or perhaps because of it’s incredibly easy and simple networking capabilities making multiplayer action possible to an extent undreamed of in the good old days of the Game Boy. I hear all kinds of good things about Advance Wars but, alas, I’m slightly too stingy to buy it new (at least at the current price). That doesn’t stop me occasionally buying second-hand DS wargames. Sometimes I do this by accident; I was sure that Lostmagic and Hoshigami: Ruining Blue Earth Remix were RPGs until I played them. This time, though, I’ve done it on purpose, to see if these two alternatives to Advance Wars can scratch my nation-wrecking itch.